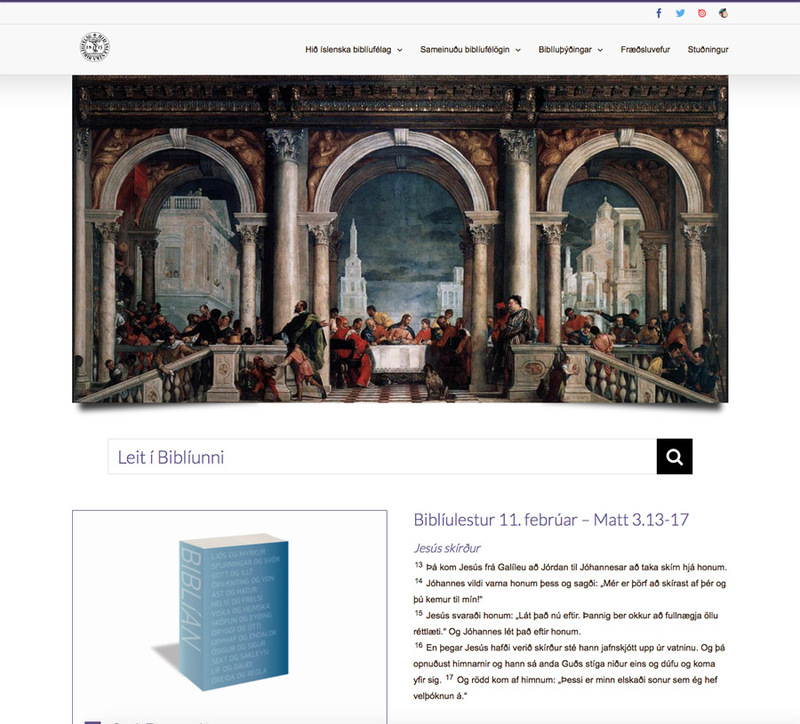 I am working with Hið íslenska biblíufélag (e. The Icelandic Bible Society). It is the oldest non-profit organization in Iceland, established in 1815. My task is to recreate their website as a forum for the organization itself with news and educational material, and help with creating a strong and lasting presence for the Society on social media. The website contains among other material, four Icelandic Bible Translations, and part of the project is to make the text accessible to users, with a simple navigational system and search features. The website was published on January 28th 2018. The website is a continuing work in process.